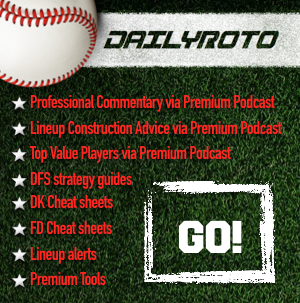 Tony Cincotta breaks down his June 9 MLB DFS Picks. Are you fired up to make some money with the Thursday night slate in Major League Baseball? Tony also begs a certain outfielder to stop bunting! Tune in to get Tony's thoughts on this and more on today's episode.